NIA questions members of Islamic Guidance Society, which might have paid for Areeb Majeed and friends’ travel to Iraq. 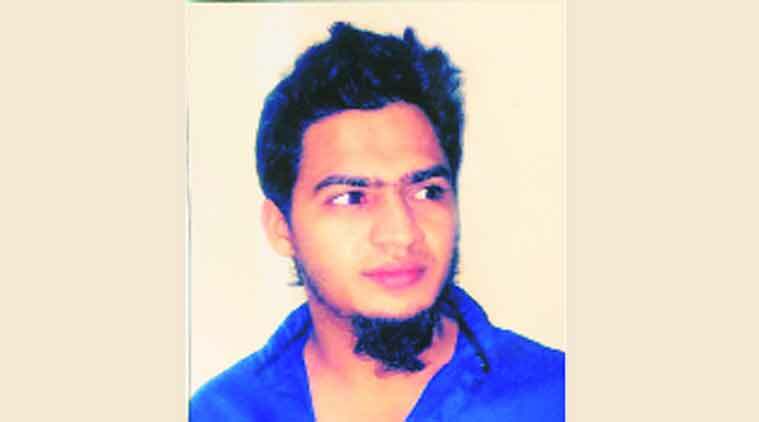 Thane student turned IS jihadist Areeb Majeed. The National Investigation Agency (NIA) has begun questioning members of the shadowy Mumbai-based religious cult, Islamic Guidance Society, whose members are suspected to have funded and facilitated the travel of four men from the city’s suburbs to fight with the Islamic State (IS) in the Middle East. The widening investigation comes days after the arrest of Thane student turned IS jihadist Areeb Majeed, who returned home with bullet injuries. NIA sources said the agency on Tuesday questioned IGS activists Anil Dolare, Atif Inamdar and Sufian Sheikh, the last a lecturer who taught Anjuman-i-Islam Kalsekar Technical Campus, where Areeb Majeed was a final-year engineering college student. The NIA’s investigation seeks to determine how Majeed and the three men he travelled with to Iraq obtained the Rs 60,000 each of them paid for their tickets. Majeed, the sources said, has told investigators he saved Rs 25,000 for the trip over six months, but has said nothing on how the group raised the remaining money, which they paid in cash to local tour operator Shaheen Travels. Majeed, along with Shaheem Tanki, Fahad Sheikh and Aman Tandel flew to Iraq on May 23 as part of a pilgrims’ group. The four men then caught a taxi to Mosul, travelling through Fallujah. The IGS, which has an estimated membership of 50-60, has held regular meetings in and around Mumbai for the past two years. Police sources say the group preaches an end-of-times theology, urging members to embrace its neo-fundamentalist conception of Islamic orthodoxy in preparation for the coming apocalypse. Its core tenets include the belief that the apocalypse will be heralded by the Ghazwa-e-Hind — a prophesied war on India by an Islamic army. Early this year, investigators say, Majeed was introduced to the IGS by a friend, Mumbra resident Fayaz Khan. He allegedly lost interest in studies thereafter, and began spending hours watching speeches by neo-fundamentalist preachers. Following the rise of the IS, he became increasingly convinced that the end of time was nigh — and decided to fight on the side of the “Caliph’s army”. From Majeed’s Facebook account, investigators have determined that his contact was made through an account operated by Tahira Bhat, a pseudonym for a still unknown individual. ‘Tahira Bhat’, whose now-defunct Facebook page claimed to offer access to the IS, provided Majeed with contact details for an “Abu Fatima” in Baghdad, would would lead them to the group. In a statement to the Mumbai Police — which, under Indian law, is not admissible for the purposes of his trial — Majeed said the group took a taxi to Mosul, and stayed at a mosque. There, an individual named “Ali” put them in contact with the IS. The group, according to investigators, trained at a camp on the Euphrates, some 40 km from the IS capital of al-Raqqa. They were put through basic fitness drills, taught how to use small arms, and received basic instruction in the operation of area-weapons like rocket-propelled grenades. They were also given kuniyats, Arabic nom de guerre picked from the names of the Prophet’s companions. Investigators say Majeed has told them that he was named Abu Ali al-Hindi, Sheikh was called Abu Bakr al-Hindi, Tandel Abu Mar al-Hindi and Shaheem Abu Usman al-Hindi. Following the basic training, Majeed was apparently deployed to the Bazwaya region, some 15 km east of Mosul. Majeed has reportedly told the NIA that he fought Kurdish forces for control of the region’s critical dam east of Mosul, and sustained injuries to his leg during an airstrike. He was then told to drive vehicles filled with explosives. After being hit in the chest, and later in one arm, however, Majeed was relieved of his tour of duty with a $ 2000 cash reward from his unit commander, investigators say.